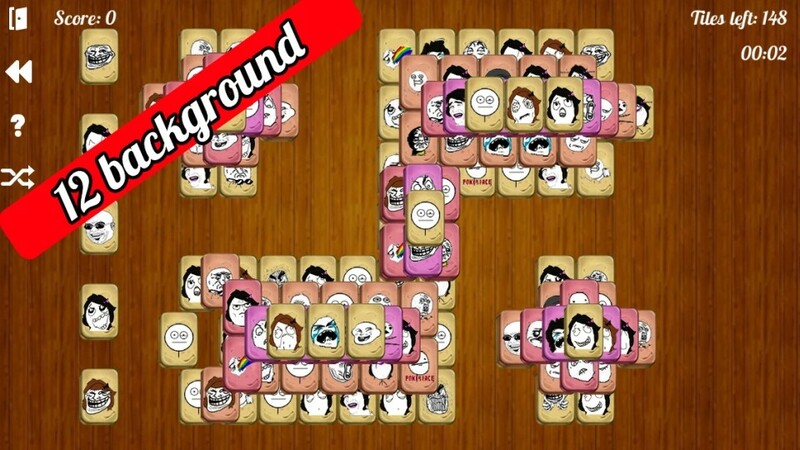 Mahjong with Memes by White Rabbit Games is a free mahjong game based on a classic Chinese game (also known as Shanghai Mahjong, Taipei Mahjong, Kyodai, Mahjong Trails, or Shanghai mahjong). For those who are not familiar with the board game mahjong, please do check out the following article about the history of Mahjong. The aim of the game is to remove all the playing tiles in the fastest time, while trying to achieve the highest score. 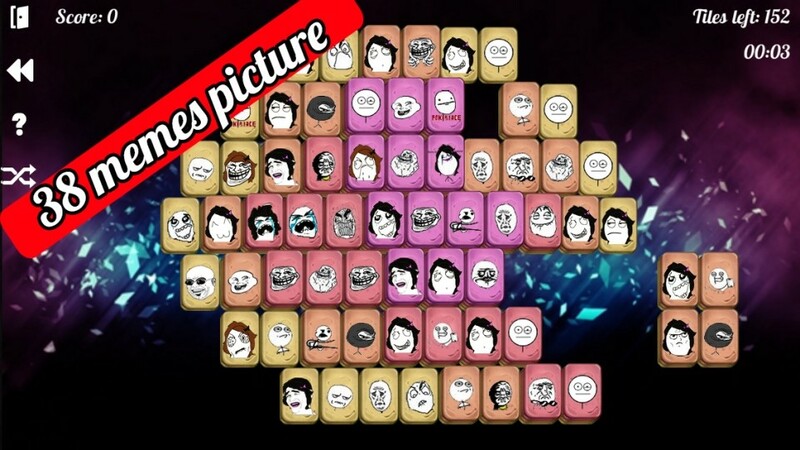 Each tile has a Meme picture on it, there are 38 different memes in total. Tiles must be selected and matched with other tiles of the same meme picture. Whenever you match two tiles, they both disappear, and when all tiles have disappeared the game is over. 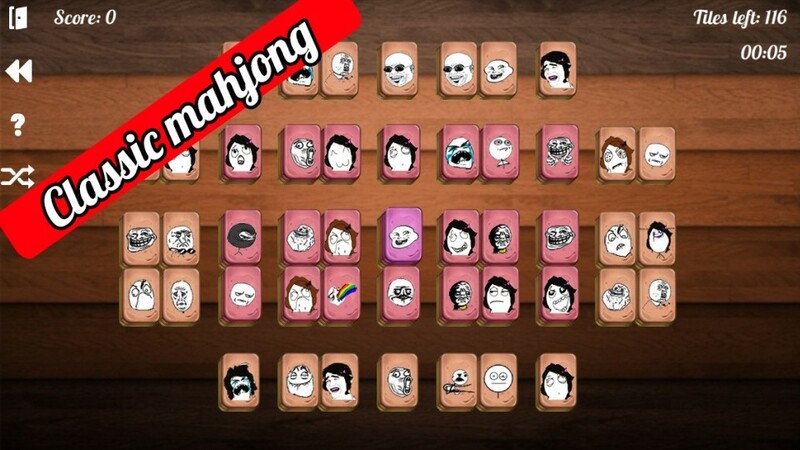 I never thought in a hundred years that I would see memes as mahjong tiles. But that is exactly what Mahjong with Memes game brings to the gaming world! Gameplay-wise, well it's Mahjong. For those who are familiar with Mahjong, it should be a familiar scene. For those who don't, basically, all you need to do is to match two tiles of the same memes. 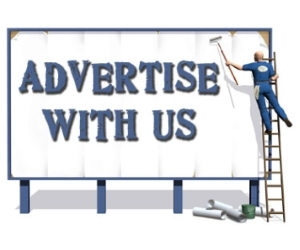 The restriction is that the tiles must be free and not restricted or fully surrounded by other tiles. However, I find that I am yearning for some sound effects or visual feedbacks when you match a tile. Currently, the tiles just disappeared without any animations or sounds. Overall, Mahjong with Memes is a novel idea to add into the mahjong game world. Furthermore, with 50+ levels available (in the full app version), it will certainly provide quite a long hours of game time.